Unlike your usual singer songwriter, Lecia Louise demands attention with her soaring, bluesin’ rockin’ guitar riffs and licks. A guitar virtuoso and diverse songwriter, Lecia effortlessly moves through the styles of rock, pop, groove and blues. From a lyric driven tune to a rockin’ song to mosh, move and groove to, Lecia has been 'wowing' audiences while touring internationally and nationally. Lecia Louise is an Australian songwriter, guitarist, multi-instrumentalist and singer. Her musical style contains elements of rock, folk, blues, jazz, alternative pop. Lecia’s music has seen her perform in Hong Kong, London, The USA, Dubai, Abu Dhabi, Italy, The Netherlands, The Solomon Islands, Scotland, New Zealand, Singapore and around Australia. Earlier this year, Lecia released her EP ‘Per Te’, which has her latest single ‘Shock Me’. This single was a follow up release to the single ‘Individual’ from 2013, which was re-released in 2015. After its re-release, ‘Individual’ was charted at #1 position for 3 weeks on the JJJ unearthed charts. It was also awarded first place in Griffith’s ‘Out of the blue’ competition. Her single ‘For You’, which was released digitally in 2014, was a follow up release to the single ‘Individual’ from 2013. The film clips for both of these songs were produced by Dan Macarthur (The Waifs, Powderfinger, John Butler Trio) and can be seen on the Video page of this site. The songs were produced by Jeff Lovejoy (Kate Miller-Heidke, Powderfinger, Regurgitator, Resin Dogs) and Lecia at Blackbox Studios in Brisbane Australia. These songs are available on iTunes and at lecia.bandcamp.com. The debut album ‘Into Being’ (folk/rock/alternative), was released in 2009 and has since been added to a number of radio stations in the USA, Australia and NZ. ‘Hoops’ was played on New York radio station 'Mary's Magical Music Show’. The rock inspired song ‘Little Girl’ received the highest number of votes on USA internet college radio in March 2011. This saw three more songs from the album get placed on high rotation on their play lists. The opening track ‘These Walls’ was placed on The Gold Coast Industry Association’s Band Tag compilation. The acoustic version of ‘Honiara’ from the album was played on Australian nation wide radio station Triple J, on the Roots n All show. Lecia’s debut EP, ‘Heaven or Hell’ was released in 2005. The bonus track from this CD received a highly coveted top ten chart position in the Music Oz instrumental song writing competition. Brian Cadd (Axiom, Little River Band, Glen Shorrock, Tina Arena, ‘Little Ray of Sunshine’), referred to Lecia’s song ‘Fly’ from her debut EP, as “fabulous”. In 2009, Lecia was invited to perform with Brian Cadd on his ‘Morning of The Earth’ tour. 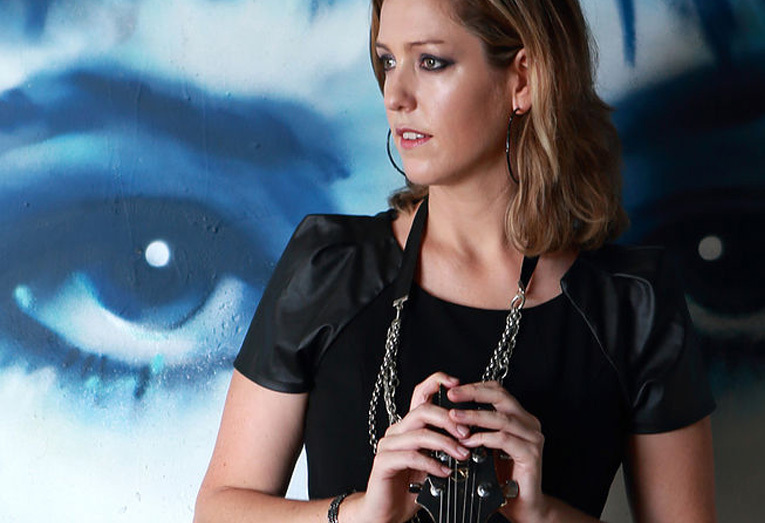 An award-winning songwriter and performer, Lecia’s original music has been featured on cable TV (Sydney), and radio stations nationally and internationally.Lecia has played on the same stages as James Morrison, Jon Stevens (INXS, Noiseworks), Grinspoon, Killing Heidi, Phil Emmanuel and Daryl Braithwaite. She played at The Woodford Folk Festival in 2004/05 and 2007/2008, Woodford’s Dreaming Festival (2009 – Fred Geisha), Mullumbimby Festival (2009/2010 – Fred Geisha), The Quicksilver Pro (2008), A La Carte in The Park (2008), West End Festival (2011) and was featured at Joyfest, headlined by Ash Grunwald. Lecia graduated with a Bachelor of Popular Music with Honours in 2004 and has been a sought after session guitarist for The London Music Group, BAM Productions and a number of emerging artists, including production groups and filmmakers.